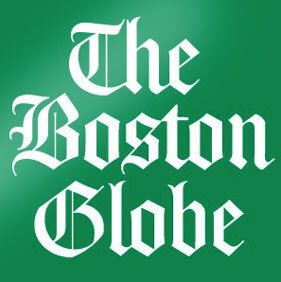 I spoke to the leaders of several arts institutions about the potential closure of the Boston Globe. Here is some of what each had to say. Jill Medvedow, the director of the Institute of Contemporary Art. When the ICA opened its new building in 2006, the Globe published a special, stand-alone section focused on the event. “From the perspective of the arts, the Globe is critical for several reasons. For one thing, other media follow the Globe. It is commonly, I will hear, NPR doing a story that they have picked up from the globe or blogs following what the Globe has written." “The Times has already dismantled a lot of the Globe. It’s evident the paper has worked very hard to try to work within this dismantled infrastructure. But I would be so sad to live in a city without a paper of record. He has not always agreed with Globe coverage of the MFA and still smarts from the paper reported on the museum’s 1999 reorganization. But he appreciates the way the Globe’s coverage creates a discussion about the arts. "It’s what every organization is dealing with now. How do you deal not only with the changing culture and times? But how do you negotiate through this dreadful economic situation. But I would think the Globe and the Times could be creative about coming up with the solution here." Volpe discussed the local ownership issue. Volpe said that the Globe was instrumental in covering the transition from former music director Seiji Ozawa, who left in 2002, to current music director James Levine.